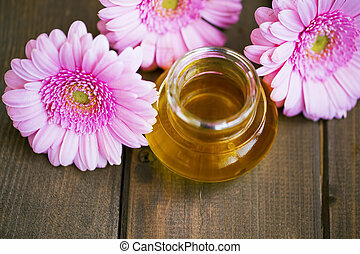 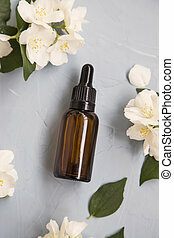 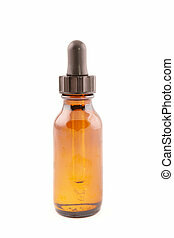 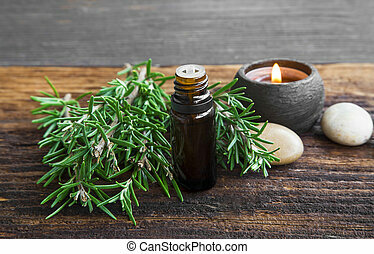 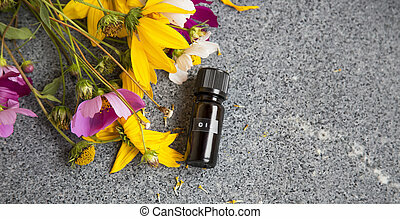 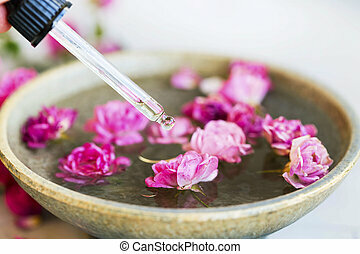 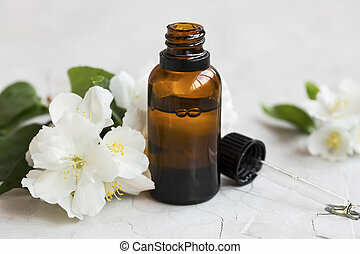 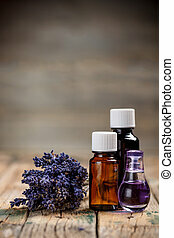 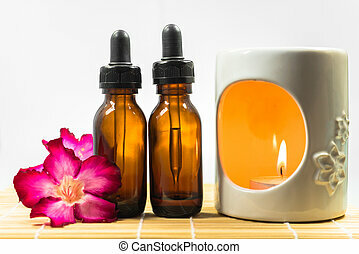 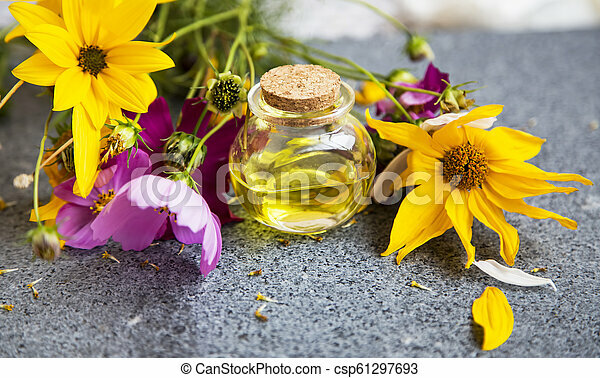 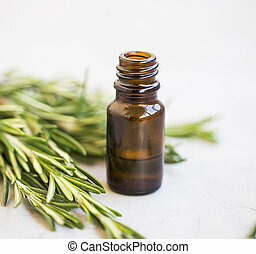 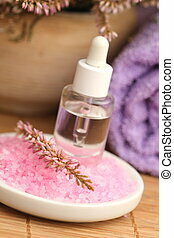 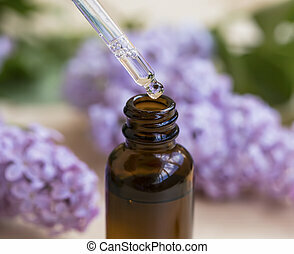 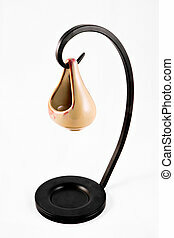 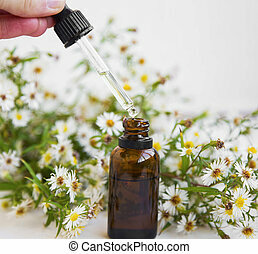 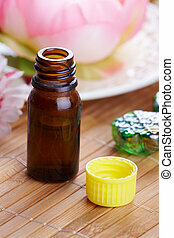 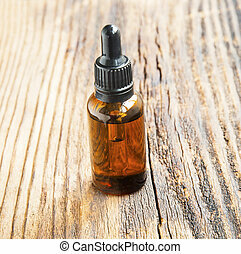 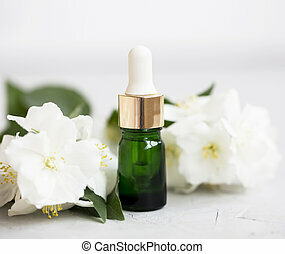 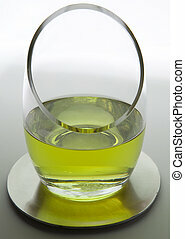 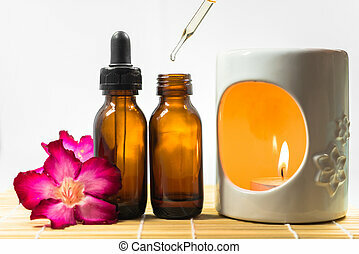 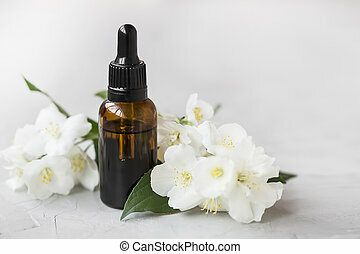 Aromatherapy oil with medicinal plants or herbs, flowers, essential oil bottle. 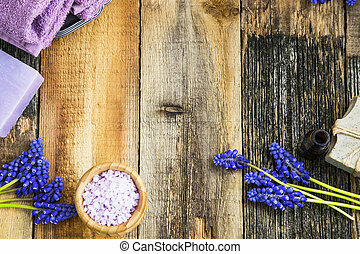 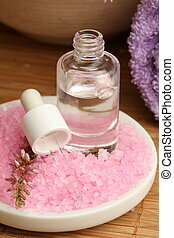 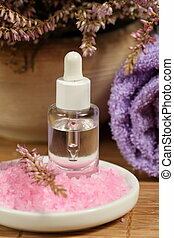 Bottle of aromatherapy oil and bath salt. 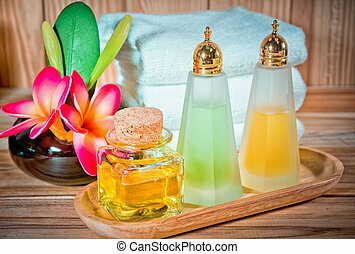 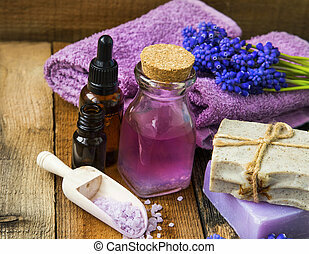 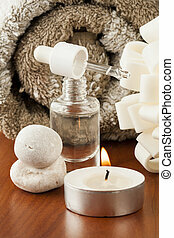 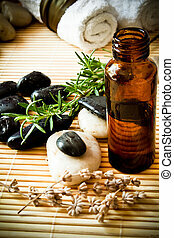 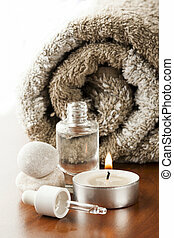 A bottle of aromatherapy oil with herbs, massage stones and towels. 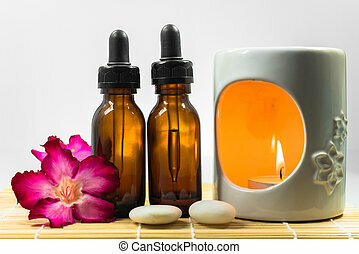 Bottle of aromatherapy oil and candle.